Could be dangerous. If spotted, do not attempt to capture. 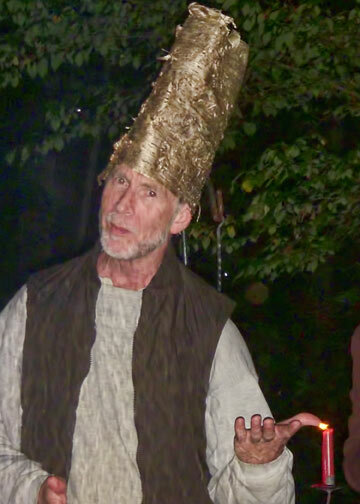 The powers in the Birchbark Fez are unknown so proceed with caution. Nice! You get good reception with that thing? Yes, I think the creature was fairly well received, but only because those who originally spotted him were in mid-revelry and their standards of acceptance were set pretty low. So, what kind of pagan ritual were you performing??? It looks like the Lighting of the Candle with the Thumb! Yes, the digital candle lighting was just one of the magic tricks this shaman performed for us before he vanished into the shadows.